Showing once again that Xbox One isn’t just about gaming, Microsoft announced some improvements to TV streaming on its latest console. The announcements were part of Microsoft’s press event heading into the Gamescom conference that starts in Cologne, Germany on Wednesday. Later this month, select users enrolled in the Xbox One update preview program will get the ability to stream TV from their console to Microsoft’s SmartGlass apps for Windows, iOS, and Android. The new feature will only work when a compatible tablet, smartphone or PC is on the same network as the Xbox One, so don’t ditch your placeshifting Slingbox just yet. The bad news for some is that this feature appears to be headed to Europe first. TV streaming is coming to Microsoft's Smartglass platform. Microsoft said SmartGlass TV streaming will land in countries slated to get the new Xbox One Digital TV Tuner this fall, including the UK, France, Germany, Italy, and Spain. U.S. Xbox One fans, it seems, will be left waiting for now. A new media player is also headed to the Xbox One in the coming months. It will permit video playback from an attached USB device or a DNLA-compatible connected device. The new playback feature will also support more file formats than the Xbox 360, Microsoft said. Formats slated for playback include MKV and animated GIFS. A complete list of supported formats is on the Xbox site. 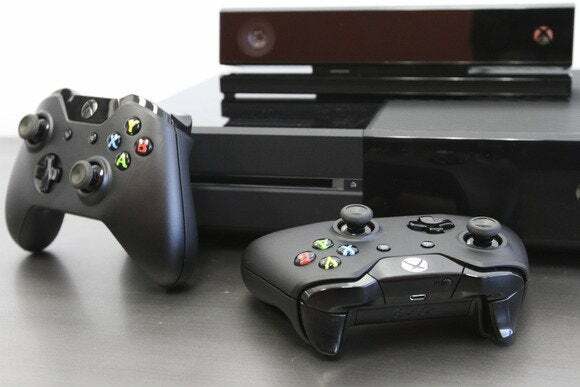 Beyond new playback options and SmartGlass TV streaming, other features planned for the Xbox One include the ability to boot to TV when the Xbox One comes out of connected standby. OneGuide users will also get a new live TV mini guide on the bottom of the screen to see details about the show they’re currently watching, as well as see what’s on other channels. In addition to the TV viewing improvements, Microsoft is also rolling out a new Friends section; a new Snap Center to view apps and features such as messages and achievements side-by-side with games; and a threaded message format for the Xbox Messages app. All of the new updates will arrive for early access users first and then roll out to everyone else in the coming months. The new updates won’t be part of one major update, but will roll out in stages depending on your location.